Digital nomads will need affordable laptops, smartphones, routers, modems and other electronics that will help them in their work. According to a Dutch site Keuzehelper, these gadgets do not have to cost an arm and a leg. No, you can find some good reviews on the site that will point you to affordable buys. Millenials are craving for freedom which only a digital nomadic lifestyle can provide. They do not want to be tied to one place. They want to travel and see the world while still working on their projects. They do not want a boss breathing down their necks everyday wanting to see how far they are gone with that excel worksheet that they were supposed to have done. No, they want to travel and feel free. To millenials, owning an office space feels odd and will ultimately tie them down, something that they do not want. They want to possess the least of things following the maxim that ‘what you own ends up owning you’. So, they will leave home with only a bag, laptop and go out into hotels, beaches and camping sites where they can work and not own anything that ties them to have a physical location. With the high market for online advertisements, search engine optimization and social media marketing, most millenials are getting so many opportunities to freelance. In freelancing jobs, the employer does not need you to physically report at their office. No, they just want the output and will pay you wherever you are. Amazon, the giant ecommerce, also has this awesome associates’ account where bloggers, social media influencers and youtube vloggers are able to review products and earn when the products are bought using their affiliate links ids. They also give you a chance to sell the products on your ecommerce and give you a certain percentage made from the sale. This is called drop-shipping and is also very popular among millenials who live off the Internet. To get started in this line of work, all that one needs is a good product research in amazon using tools such as the Jungle scout that helps you fetch the best products to sell at amazon. 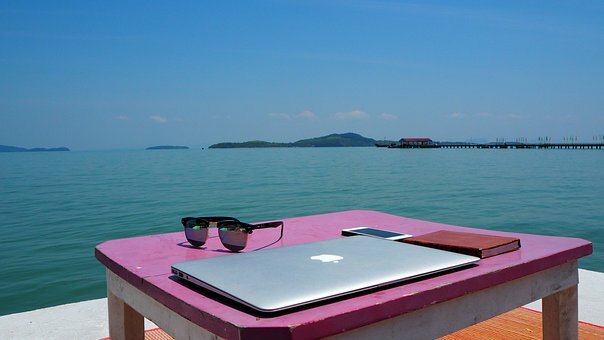 After working in formal employment for sometimes and seeing how free their friends who work as digital nomads are doing well, young people also want to join the bandwagon and run away from the burn out and boredom that comes from working in a physical office.